Few years ago I had done some work in Macedonia (FYROM) and one of my customers urgently called me and wanted me on-site for some diagnosis and troubleshooting with their Oracle RAC system. In recent months my schedule is very tight so the only viable solution was to add Saturday to the schedule. 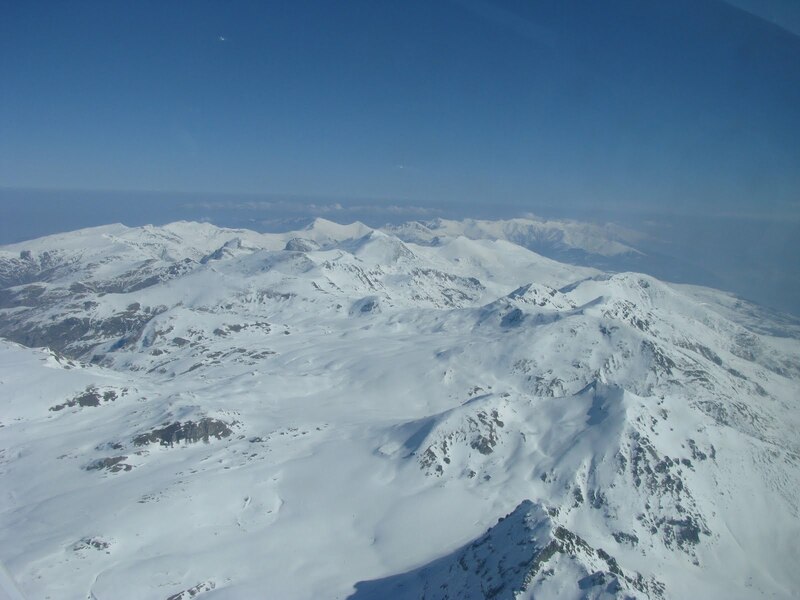 During winter months it was not a lot of opportunities for flying with exception of local flights and one skiing trip to Zell am See (LOWZ). So this request came just in right time as the weather was excellent. Due to some obligations in late afternoon on Thursday I decided to depart from Ljubljana (LJLJ) on Friday morning at 6:00, March 11th 2011. 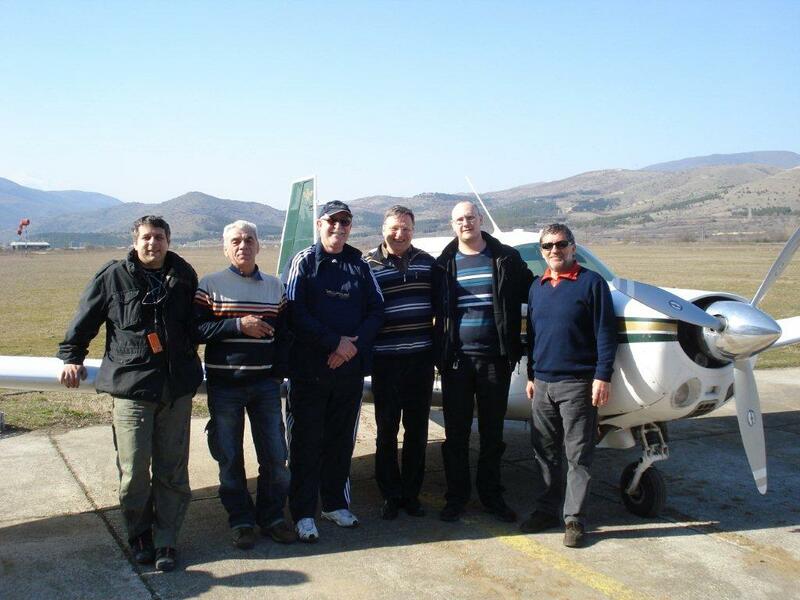 A day before I had flown the aircraft from my home airport Divača (LJDI) to Ljubljana airport. Due to freezing temperatures there was some tiny ice on the wings so we had to clean the wings before we were ready for departure. The weather was clear but we had the same problem with the ice as any outside parked car with the ice on the windshield. The flight took 3:09 what is an excellent time for such distance. The average cruising speed at FL110 was 143 KT. 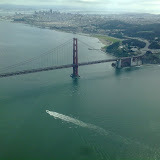 This was the first long distance flight with the new JPI EDM-700 instrument installed. I bought the version with fuel flow. Monitoring engine parameters like CHT (Cylinder Head Temperature) and EGT (Exhaust Gases Temperature) for all 4 cylinders is a very nice feature. On my previous airplane I have installed just fuel scan JPI FS-450 and found that for long distance flying such an instrument is really a "must". With EDM-700 with fuel flow one can really precisely lean the mixture. 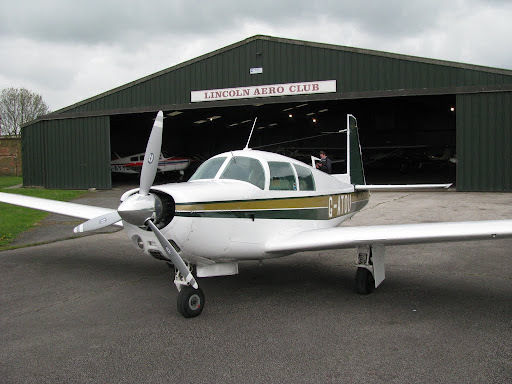 My Mooney has GAMI injectors installed so I can fly lean-of-peak (LOP) and thus reduce the fuel consumption even more what gives me a greater autonomy. The flight was without any problems as the sky was clear without any clouds throughout the whole Balkans. After clearing Ljubljana CTR and until flying below Terminal Ljubljana we were flying 1000 FT AGL. Only after leaving terminal we climbed to 7000 FT inbound to border point NEMEK. Before we were handled to Zagreb Approach and later on to Zagreb Radar we started climbing to 10,000 FT. Before reaching Bosnia were instructed to climb to FL110 in order to stay in the controlled airspace over Bosnia. Before Montenegro border we were passed to Podgorica Approach and got immediately direct RETRA. Before this point we were passed to Tirana Radar and then to Skopje Radar before we reached MAVAR point. When we were closer to Skopje we were passed to Skopje Approach and got direct SKJ VOR which is only few hundred meters away from RWY 34 threshold at LWSK. Immediately after arrival to Skopje airport I was instructed to call Macedonian CAA. They told me that since February 16th there is a new procedure in place in their AIP which requests that one should make a prior announcement of the flight to Macedonian CAA. Until this amendment only a flight plan was enough. Obviously the reason for this amendment is 20,00 EUR fee which has to be paid in advance to CAA what looks like a new source of money for them since they are now on their own and have to earn money. At the same time Macedonians say that they are approaching EU Community, however with such behavior for VFR flighst they are practically the only exemption in EU. Currently I know only that Bulgaria and Romania request a prior announcement, but they do not charge one for that. 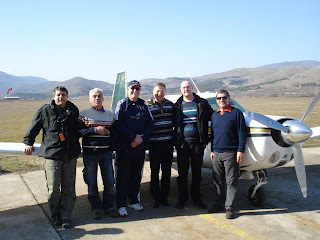 Fortunately my friends, Macedonian pilots, helped me with solving the problem and Nikola Davidov paid the fee for me on next working day. After clearing this problem we left for Skopje's sport airfield Stenkovec where my friends were already waiting for me to arrive for the first time with Mooney. 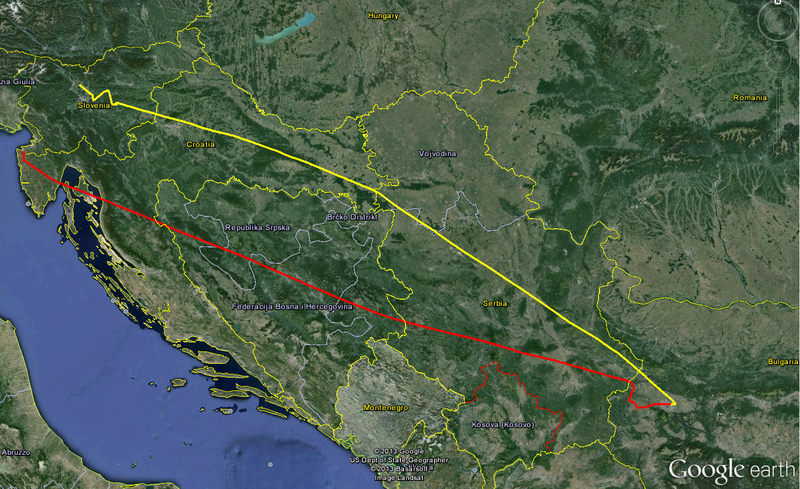 Stenkovec is only about 10 minutes flight away from LWSK. 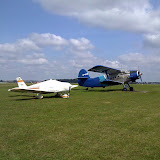 They have a grass runway of a very good quality and therefore landing there with retractable gear was no problem. Immediately my Mooney got new nick name in the style of Macedonian language - Munjot. I had to work until late evening and only after 21:00 we were able to gather together again in one restaurant. It was a great time to chat with my Macedonian colleagues and drink excellent Macedonian wine "T'GA ZA JUG". Next morning I had to work until approximately 12 hours and then I returned to hotel where my friend Jernej Bizjak, also a pilot, was already waiting for me. We went to Stenkovec and after having a real black (Turkish) coffee we departed to LWSK for border control and refueling. The landing fee at LWSK was quite expensive - 45 EUR. Before TAV took the LWSK airport it was only about 25 EUR. The price of the AVGAS was 1,95 EUR/liter. The flight plan for returning home was slightly different. Instead of flying over Bosnia we stayed at the cost of Adriatic Sea and crossed Dubrovnik, Split and Zadar and the turned inbound to DOL. 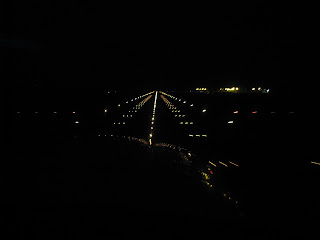 The last 7 minutes of flight were in night conditions and this was my first night landing with Mooney at Ljubljana airport (LJLJ). The flight back took 3:28. A strong "jugo" - a south west wind was expected to blow along Adriatic coast but unfortunately the forecast was wrong and we had a head wind. 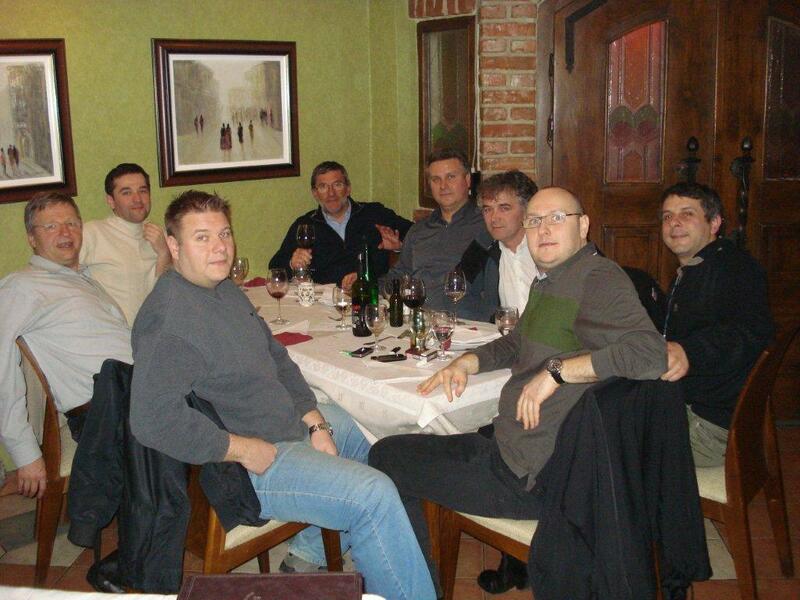 The Oracle Univesity organized a two day seminar in Riga, Latvija at the end of August 2009. This was a nice opportunity to make a stop in Krakow in Poland. As we had quite short vacations in July we used also this opportunity to spent additional five days on Island of Mljet near Dubrovnik in Croatia. The plan was to make a refueling stop in Vyškov near Brno in Czech Republic and then proceed to Krakow. Later on I found that on Pobiednik Wielki airfield there is a gas station just outside the airfield fence only about 30 meters away from the main apron. 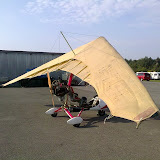 We started on August 24th in the morning and the flight to Vyškov was a routine VFR flight in excellent weather conditions. 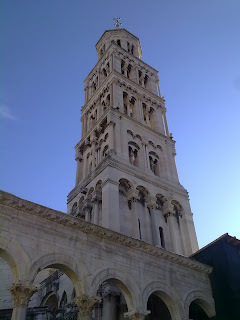 I have visited Vyškov already once this year when we were flying back from Finland. I phoned them a day before and and we were immediately warmly welcomed for refueling. LKVY - HLV - TUSIN - SKAVI - EPKP. The weather was still excellent but we got broken clouds near Krakow so we had to postpone the descend a little bit in order to find a suitable hole in the clouds. After securing the aircraft at EPKP we called taxi and drove to the center of Krakow where we had a reservation in a just refurbished hotel which was re-opened just two days before. After a quick lunch with original Polish dishes we headed to the main square in Krakow and had short sightseeing of surrounding churches. Next morning we took a guided 4 hours visit of Krakow castle and Krakow Ghetto. In the afternoon we took taxi to Pobiednik Wielki and headed towards Adaži near Riga in Latvia. The planned route was: EPKP - JED - LIN - SIE - BOKSU - GUNTA - VISTA - EVAD. I checked the Polish Airspace Use Plan (AUP) for the current day before filing the flight plan by phone. The weather was excellent all way to the north and we landed at Adaži (EVAD) short before the sunset. EVAD is a former agriculture airfield now privately owned and mostly used for training for ULA and GA airplanes. It is located about 40 minutes drive north east of Riga. They provided me MOGAS which they buy at the nearby gas station. Riga is for sue one of the most beautiful towns we ever visited and we enjoyed our stay there really very much. EVAD - VISTA - GUNTA - BOKSU - SUW - ULPAR - JULLIET (VFR point for Babice) - LIMA (VFR point for Babice) - EPBC. 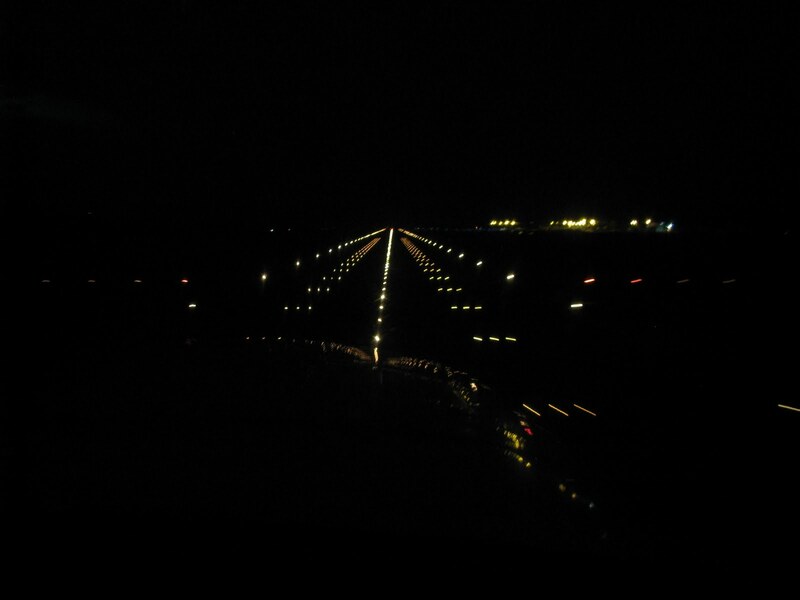 As I was never before at Babice it was a little bit of challenge to make first landing there at night. Babice is located in the middle of Warsaw city and it was hard to spot the airfield as we were vlying very low due to the airspace above us. Next morning we planned to continue our trip to Svidnik in Slovak Republic. The Babice airfield opens at 6:00 AM local time and we came there at about that time. Shortly after arrival we were already airborn and were heading towards LZSK. EPBC - WAR - BRAVO - ALPHA - TANGO - ARDAG - PODAN - LZSK. A cold front was coming from the west and we had to be on time in Svidnik for refueling and continuation to Dubrovnik in order to escape before the bad weather. On Saturday, August 29th they had annual gathering at Svidnik(LZSK) airfield and it was quite a lot of people already there. It was nice to meet Tomáš and Emil Sluk again. This time we also met Koka, a good friend of late Robert Tupta, for the first time and we became good friends. After refueling and a short chat with these nice people we had to leave. Again this time we really enjoyed a short stay at Svidnik. LZKZ - KEKED - SAG - BAREB - SIVLA - KEB - MADOS - LDDU. While we were flying across Hungary we could see the on our right side the cold front. 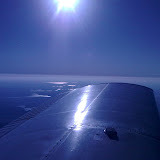 As we were on time we actually had no problems with the weather and were flying in clear sky. After entering Bosnia and Herzegovina at SIVLA point we found some tower cumulus buildups so we climbed to FL120 and remained at this level almost all the way across Bosnia and Herzegovina. We crossed the Croatian border at FL100 at MADOS point which is almost at the Dubrovnik airport. 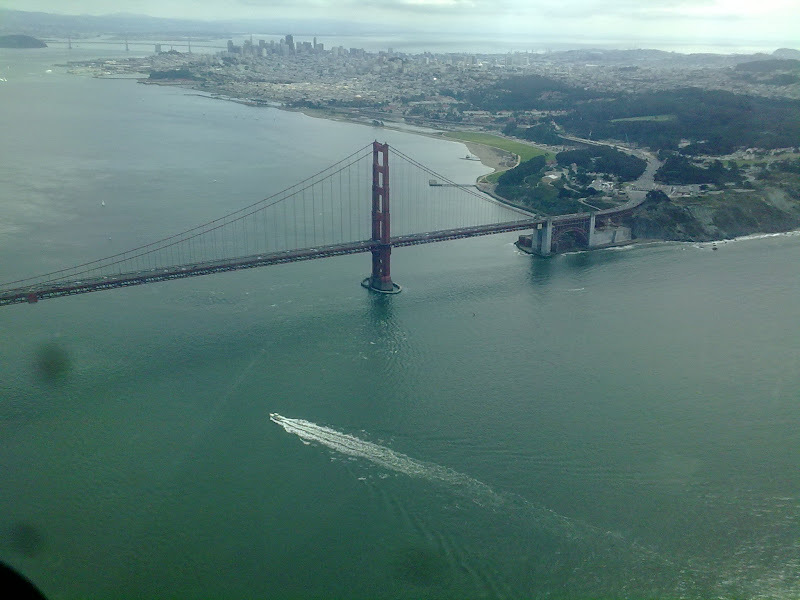 Although VFR we were vectored for ILS approach for RWY 12 which of course I have accepted with great pleasure. We stayed for few days at Restaurant Ogigija and enjoyed their hospitality again. Recently Environmental Agency Of The Republic Of Slovenia published a new portal for aviation which is part of the weather portal for Slovenia. The aviation weather information, which includes also SIGMET and AIRMET, is available at http://meteo.arso.gov.si/met/sl/aviation/. 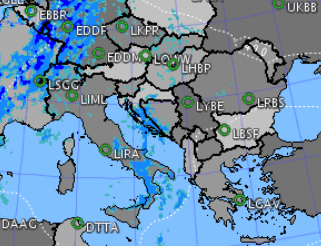 The portal now includes also a detailed wind forecast for Slovenia for FL025, FL050, FL100 and FL140 for time +6h +12h +18h and +24h. This kind of information will be very useful for all who plan flying across Slovenia. Unfortunately the portal is currently available only in Slovenian language but one can figure out what kind of information he will get when clicking on the menu as most of the menu items are well known English words. One can also get the output of Slovenian ALADIN model weather forecast which includes also neighbor countries from part of France on the west to part of Bulgaria on the east, part of Germany on the north and part of Greece on the south. According to my experience in past two years the ALADIN model forecast is pretty reliable and extremely useful for planning. I am always using it when flying to Italy, Switzerland, France, Austria, Germany, Czech Republic, Slovakia, Hungary, Croatia, Albania, Macedonia, Serbia, Poland, Bulgaria or Romania. On December 20th, 2009, I had a presentation for my fellow pilots and students of my former flying school "Janez let", where my Piper is still hangared. I had this presentation at the occasion of the new year gathering of all former and current students of this flying school which is some kind of a tradition in this school. This year there was another presentation about flying to Scotland what I really appreciated. Sharing this kind of experience is very valuable and important, especially for those young ones who are still in struggling to get PPL. Here is the link to my presentation in English language and the other one in Slovenian language.